Africa with the huge crocodiles that is typical and immediately appearing in the mind is situated verily here, in Nechisar National Park located between the lakes Chamo and Abaya. It takes only 514 square kilometers; however, within this territory there are so many interesting things that could be enough for sightseeing lasting for several days. Particularly, there are the biggest in the whole continent crocodiles as several kinds reach six meters long. Nevertheless, Nechisar is the most well-known for being an important environment of migrating birds that admired the park with such a profitable location. 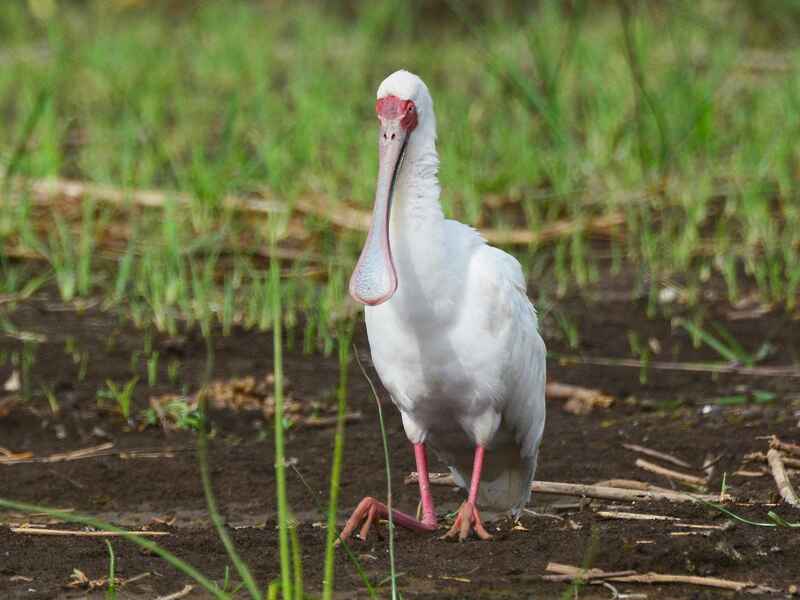 Here they do not feel lack in anything that is why near water one can see bright flamingos, pelicans, and storks. The local fishermen move along the lakes by the hand-made floats, and one can but marvel at the fact how this construction is able to stay afloat! But it is not worth to be frightened beforehand as local people take care of visitors saving them from such extreme conditions and show to the tourists the surroundings on the usual reliable boats. Not far away from the reservation areas there is a sight for sore eyes as near Chamo Lake in high huts the local tribe dorsi lives. Virunga National Park is the unique place where the mountains in an amazing way combing with the wide plains, volcano arrays with active volcanoes, sloughs with grass savannas and bamboo thickets as well as blue lakes with ancient ice cellars. The square of this natural wonder is almost eight thousand square kilometers. 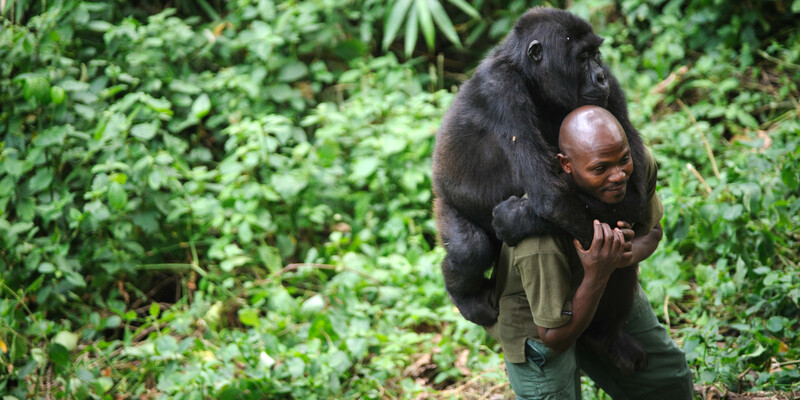 The reservation was created with the definite purpose to protect rare mountain gorillas from extinction. Verily they are the main inhabitants of the park. However, there where such a number of various landscapes are neighboring, different kinds of animals live together amicably. Apart from gorillas, there chimpanzees, lions, hyenas, forest elephants, and other species reside there. Concerning feathered and winged ones, they are represented by flamingo, eagles, and goshawk. 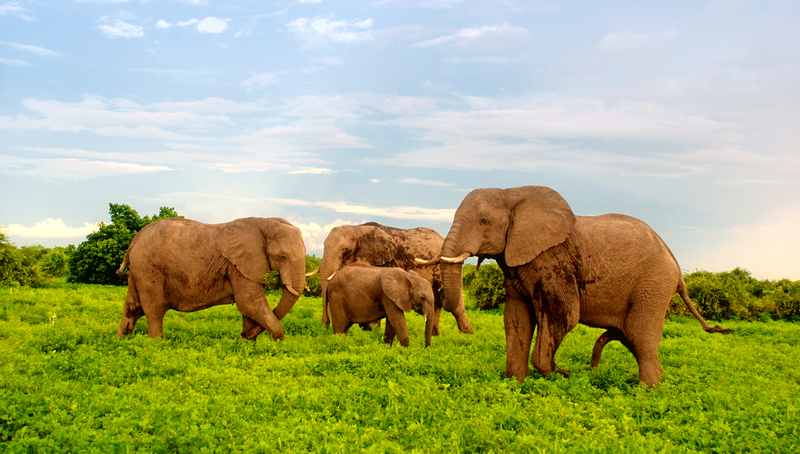 In the distant 1931 when Addo Elephant National Park was created, in the region there were only eleven African elephants. People had to do something with it immediately, and put forward the key task in front of reservation to save the population of the species on the edge of extinction. The intention was fulfilled, and now there are more than 600 ones in the park. However, 180 thousand ha of the area is, evidently, too much for six hundred elephants even taking into account they are huge. That is why a great deal of other animals found their home there such as lions, black rhinoceroses, leopards, antelopes, and zebras. Now the square of reservation is planned to be expanded by addition of 120 thousand ha of sea territory that includes islands where African penguin and cormorants reside. It means, adjunction is planned in Addo Elephant! Not surprisingly, in the park infrastructure is developed excellently as there are bases of rest for guests, cardboard cities and tents with the special platforms for the closest observation of the elephants. Moreover, people begin to fall asleep here accompanied by the hyenas and lions situated near the camp. Also, there are a lot of official paths and routes of different length which penetrate the park allowing to see the most interesting places residing in the comfort and safety. The Aïr and Ténéré is one of the biggest among protected zones within the territory of African continent. 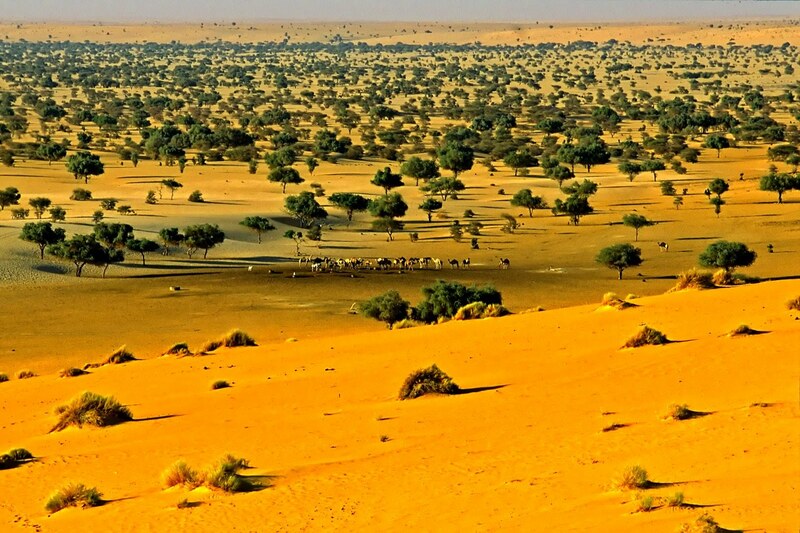 It is situated in quite interesting place at the Southern border of Sahara. The large part of territory is taken by desert, however, despite this fact, the park cannot be called as empty or dull as there are a lot of exciting places. The feature of this park is that its relief consists of barchans (sandy hills created naturally). Verily here one can see the highest barchans in the world; the height of several of them achieves 300 meters! It is evident that in such natural conditions you will not meet lions and giraffes but you may simply get familiar with the animal that can adjust to hot and arid climate. Among them there are local gazelles, foxes, caracal lynxes, ostriches and others. Concerning the plants, there only those caught on that have developed assemblage of roots that allows to get moisture from the land depth. For instance, in this case we could talk about acacia. As for easy and simple life, in these terms it is worth talking about nettle tree that is situated at the Southern border of the reservation being one of the main landmarks of the park. There was time when at this place acacia grew that served as the orientation for the caravans. The square of the reservation Bwindi located in the jungles of Uganda takes 331 square kilometers what makes it be considered as the smallest one among the biggest national parks in the world. The landscape here is a bit monotonous, with forests in mountains, woods on the plains and one may move along the park only on foot. Consequently, those who love safari on jeeps cannot go there. And there are no representatives of ‘big five’ such as elephant, rhino, buffalo, lion, and leopard. But here they are easily replaced by gorillas, various kinds of birds and, the most important thing is the existence of more than 200 kinds of exotic butterflies! Wherever one looks, all the colors of rainbow in the most unusual combinations opalesce and shine on the sun. The landscape does not seem so monotonous… Forests are not simple here as park is famous for more than 160 kinds of trees and 100 types of fern.